Whether you celebrate Easter for its religious significance or as a symbol of changing seasons, no one wants their child overloaded with chocolate and candy, even if it is organic. Start with a natural basket, and if you feel you need grass, ditch the plastic stuff for [amazon_link id=”B000XAWRR6″ target=”_blank” ]raffia[/amazon_link]. What better way than giving a packet of seeds gets one excited about spring! 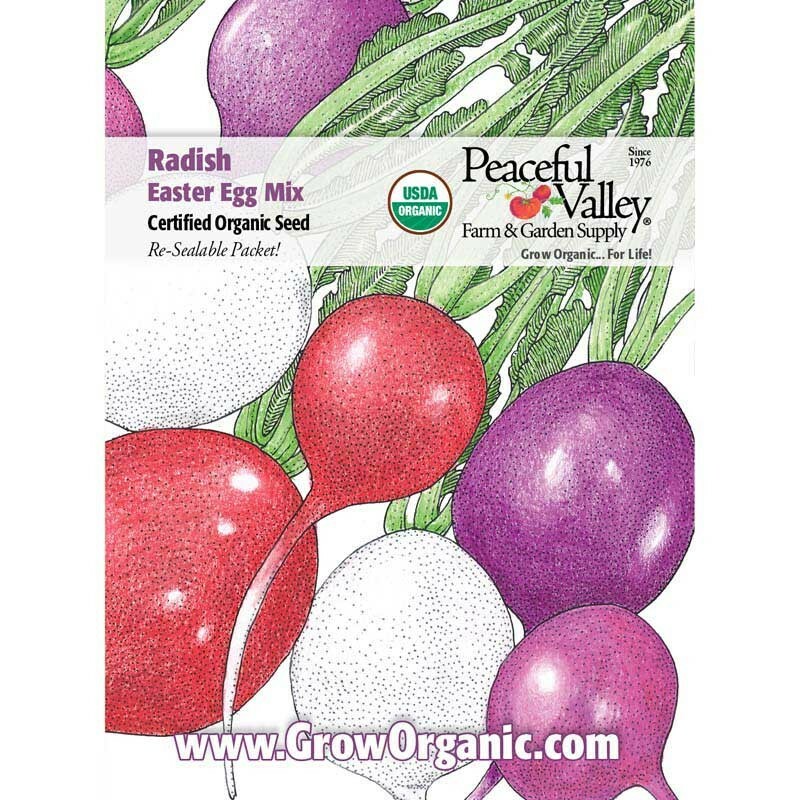 Peaceful Valley Farm even offers an organic radish Easter egg blend, but any seeds will work. Giving children ownership of seeds promotes gardening from start to finish. This has been a long standing tradition since our first Easter with child. Our kids get prayer flags in their baskets, then they get to chose where to hang them outside. Instead of some silly picture book about the Easter Bunny, give your child a field guide that will grow with them. From [amazon_link id=”0394519132″ target=”_blank” ]shells[/amazon_link] to[amazon_link id=”B005OT5CHI” target=”_blank” ] butterflies[/amazon_link], from [amazon_link id=”1402741537″ target=”_blank” ]insects[/amazon_link] to [amazon_link id=”0898153883″ target=”_blank” ]mushrooms[/amazon_link], my kids love to look through field guides. When they find something interesting outside, they often consult the guide to try and identify it. My kids are attracted to shiny rocks. On a recent vacation, it was the one thing they picked out to buy in the tourist shops. Identifying the rocks is fun. It is one of the standards in art education that children keep a sketchbook. Encouraging your child to draw daily, no matter their age, in a bound book not only allows them to grow as an artist, but it gives you beautiful insight into their world. It’s as good as, if not better than a photo album in capturing and preserving childhood.